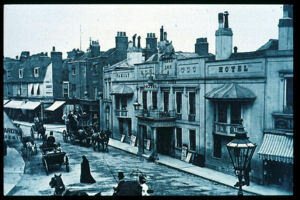 The Bell Hotel, Bromley. Photograph by Samuel Webber. An old coaching inn also called “The Royal Bell” because Queen Victoria patronised the hotel and “Royal” coaches changed horses there. It was demolished and rebuilt in 1897. 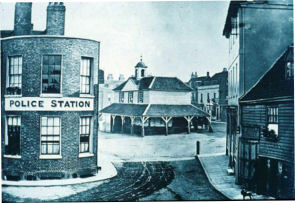 The South side of Market Square, Bromley. 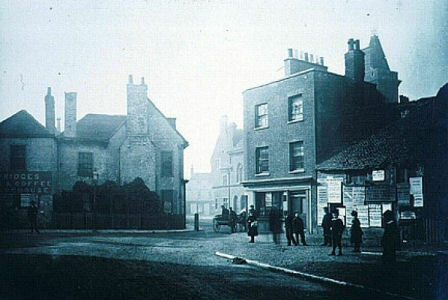 This photograph was taken in 1860, probably by Samuel Webber. The entrance to Market Square from Widmore Road. 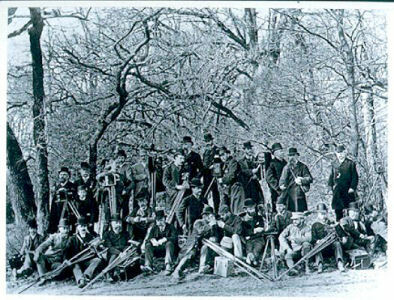 A date on one of the posters indicates that the picture was taken in 1882. The photographer is not known. 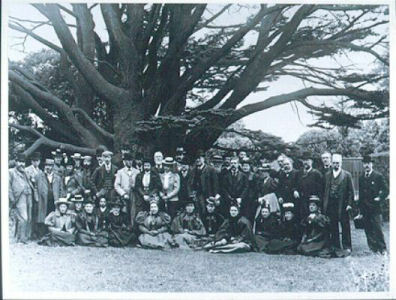 A group photograph taken on a club outing to West Wickham by Mr A R Dresser. Bromley Camera Club and the Naturalists Society outing at Gads Hill, the former home of Charles Dickens on 18th June 1897. The tree in the background is a Cedar of Lebanon. 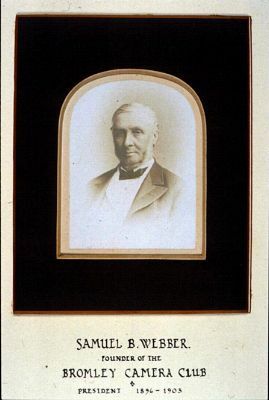 The photograph was taken by Samuel Webber.